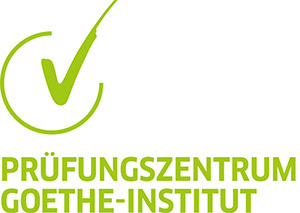 The German Department at the University of Pittsburgh is an officially authorized testing center by the Goethe Institut. We offer examinations at the B1, B2, and C1 level. These exams are designed to demonstrate proficiency in German, and are recognized world-wide. Note: The exams are open to anybody, not just Pitt students. We typically administer these exams once a year, in the late fall. Test takers must register by September 15. Exams may also be administered once during the Spring, if there is sufficient interest. Interested test takers must register by February 15 and will be contacted by February 25 to let them know if the test will take place. To register, please click here: Goethe-Institut Testing, and send a check or money order made payable to the University of Pittsburgh for the amount corresponding to the desired exam level to Victoria Donahoe, 4200 Fifth Avenue, Department of German, 1517 Cathedral of Learning, Pittsburgh, PA 15260. If the check or money order has not been received within 10 days after the registration deadline, i.e. by September 25 and February 25 respectively, your registration will be void. For questions, please email Viktoria Harms, vih16@pitt.edu.